Matthew S. Merriott was admitted to the Texas Bar in 2017 and practices in civil and commercial litigation. 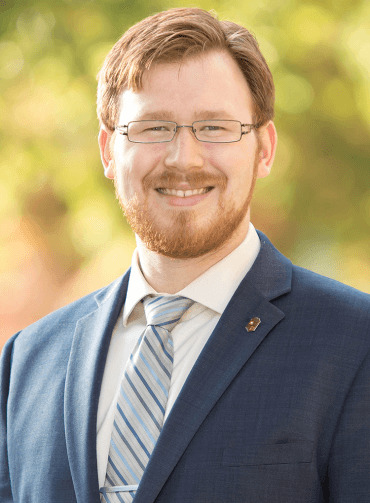 While attending Texas Tech School of Law, Matthew competed in numerous advocacy competitions and served on the executive committee of the Texas Tech Board of Barristers from 2016-2017. Matthew graduated with a Business Law Concentration and was elected to the Order of the Coif by the faculty. Raised in Lubbock, Matthew now lives in Amarillo with his wife, Deirdre, their cat, and two dogs. Matthew S. Merriott recently argued against the application of the strip and gore doctrine in Richard D. Crawford v. XTO Energy, Inc. before the Second Court of Appeals. This case addresses whether the owner of a small mineral tract was entitled to unpaid royalties from the operator. The operator claimed that, under the strip and gore doctrine, the landowner’s predecessor had transferred the tract to a developer when she deeded adjacent tracts, even though that deed did not describe the mineral tract. The landowner maintained that the strip and gore doctrine did not apply because the tract had not ceased to be of benefit or importance to the landowner’s predecessor.